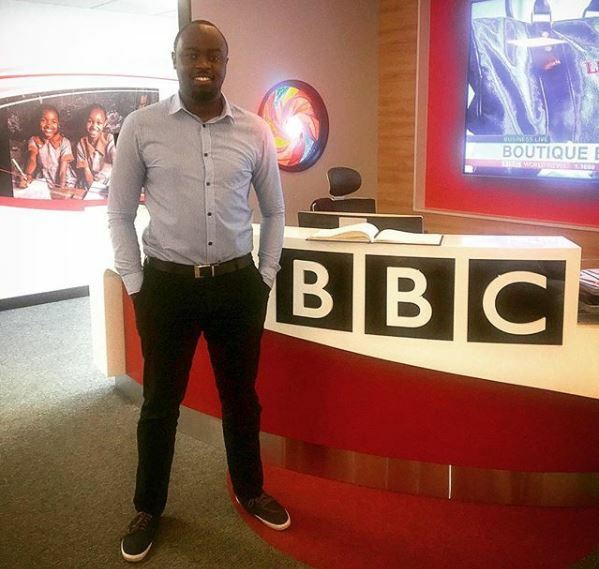 Former K24 news anchor Ian Wafula has attributed his major move to giant media house BBC to three challenging words by fellow journo Larry Madowo. Last week, Wafula hosted his last show, Alfajiri The Daily Brief, after three years with the MediaMax-owned television station. And on Wednesday, Wafula was elated as he announced his next ‘home’- BBC- revealing how hard it was to land the gig as a broadcast journalist. “New chapter. Looking forward to starting soon at the BBC as Broadcast Journalist, News Review. I’d like to call it my new home but it’s bigger than that, the next step in my career. I’ve seen God’s manifestation in this process having been rejected 4 times after endless tests and grueling interviews. What’s yours is yours, at the right time.,” said Wafula. While thanking his support system, Wafula singled out special thanks to Larry Madowo for challenging him to get out of his comfort zone. “Thanking my family and close friends for standing by me. Special thanks to Larry Madowo for the three challenging words “You deserve better” that took me off my comfort zone to yearn for greater opportunities,” said Ian. Ian joins the growing list of Kenyan journalists who have joined the British owned media house. Prior to joining K24, Ian worked at KTN, where he got an opportunity as an intern in August 2013 and was later employed after six months. He holds a B.A in Communication from the Daystar University and parted ways with KTN in December 2015 before teaming up with Amina Abdi at K24.